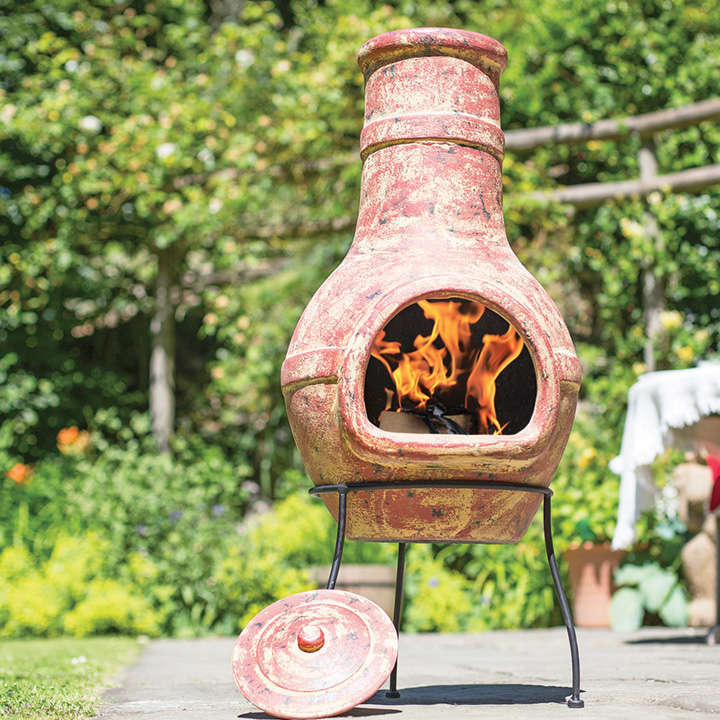 A fantastic chimenea that is going to keep you warm on those chilly summer evenings allowing you to make the most of your summer days! 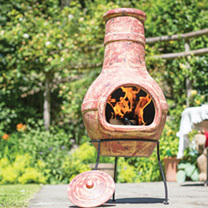 The chimenea has been made from authentic Mexican clay; it has banded detail and is finished with a speckled copper effect. 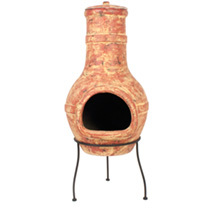 This is a larger sized chimenea and has a height of 90cm, the width and depth is 40cm. The chimenea has a large mouth letting out lots of heat and light. The natural design means it looks great in every garden, and adds a little touch of Mexico!" 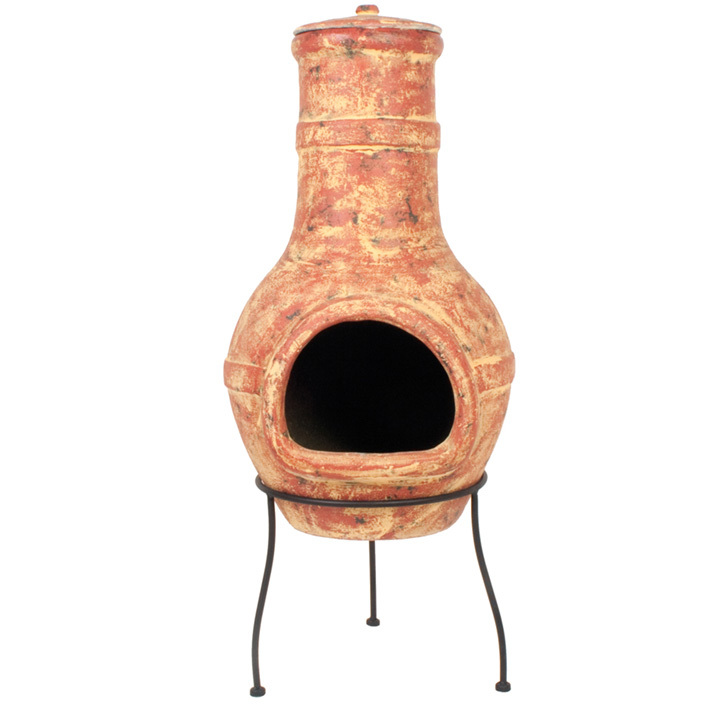 A classic traditional shape, this clay chimenea is the perfect way to add warmth and ambience to your patio or garden. Nothing beats the relaxing glow of a real wood fire.